Well.ca has a Baby Extravaganza on now! Save up to $40 off with the promo code below! Offer is valid until July 17 at 11:59pm ET. Offer applies on baby and kids products only. 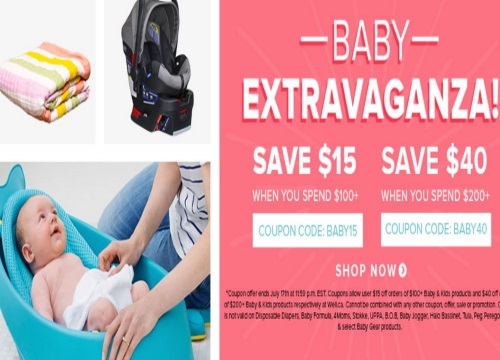 Coupon is not valid on disposable diapers, baby formula, 4Moms, Stokke, UPPA, BOB Baby Jogger, Halo Bassinet, Tula, Peg Perego, Diono and select Baby Gear products.